Here's what I got in my April box. I'm going to start with the product that really pissed me off. Sure, it's great to receive a Nars lip pencil in a beauty box, BUT this is the exact shade that was given as a Sephora VIB Birthday Gift last year. Seriously Sephora?!?! What a lazy cop out! I'm beyond annoyed! 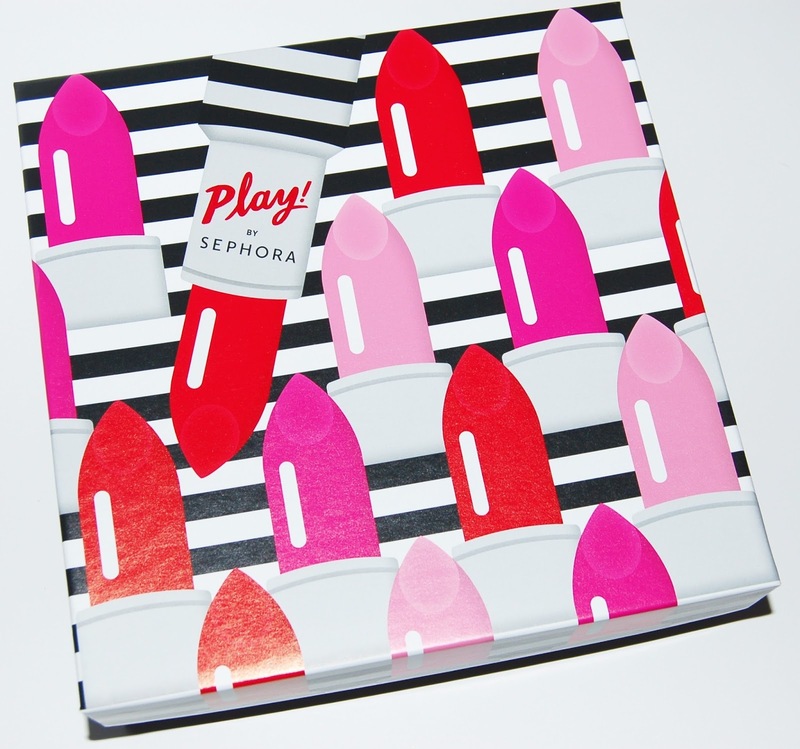 Not to mention the fact that they already pulled this with a Makeup Forever lipstick they included a few boxes ago that was a free VIB Birthday Gift from a couple years ago. Just seeing this ruined the vibe of the entire box for me. Milk is a new line at Sephora. This product is an oil that you can apply to your face, body or hair. Not very exciting. This is a skin treatment that is supposed to brighten, exfoliate, even hyperpigmentation and reduce fine lines. I was happy to see this product because I've been wanting to try something from Sunday Riley. I've used it a few times and haven't notice any benefits yet. I will tell you that it has a weird rotten citrus scent. This is a hydrating and brightening eye cream. I like this eye cream so far, it sinks into my skin pretty quickly. This is a long-wearing gel blush. I only wear powder blushes so I'll be giving this away. I don't mind the scent of this perfume but I don't love it either and will probably never wear it. It has notes of salty caramel and crystalized amber (what's that??). Overall I thought the April Play! by Sephora box was pretty lame. 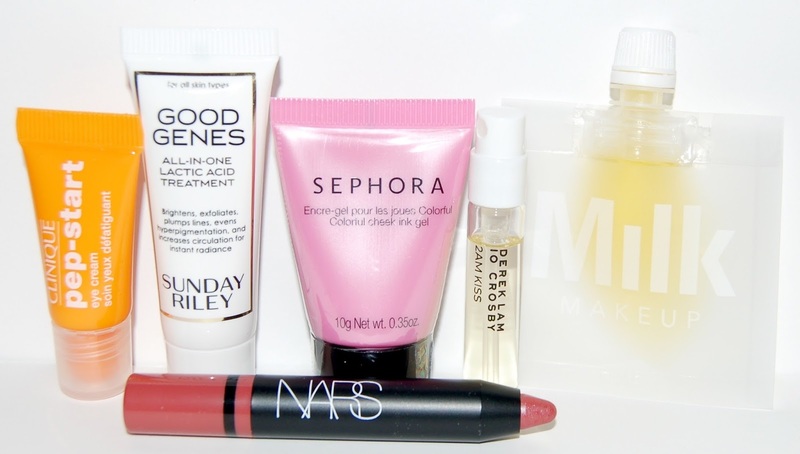 I'm only excited to try the Good Genes serum from Sunday Riley and maybe the Clinique eye cream.